Livescan fingerprinting refers to the technology used by law enforcement and private entities to capture both fingerprints as well as palm prints electronically, all without the need of ink and/or paper. Commonly used for background checks for licensure, certifications, volunteer opportunities and employment, results can be verified and returned in as little as 72 hours. How much does Live Scan cost? With a Live Scan, there are two types of fees to be aware of: the rolling fingerprint fee, which usually averages $20, and the background investigation fee, which will greatly depend on the type of application you have and the type of service required, usually referred to as the ORI number. In total, when combined with these fees, most pay anywhere from $53 to $105+ based on the companies that did provide their prices online. This State of California Department of Justice PDF, for instance, displayed the prices for both State and Federal CORI fees, with prices ranging anywhere from $15 to 17 for Federal CORI fees and as high as $25 to $42 for the State of California CORI processing fees. In Inglewood, California, a notary service we found had a $21 rolling fee, plus varying FBI and DOJ fees greatly dependent upon the reason for the visit. All in all, the total fee could range anywhere from as little as $31 to more than $108. If you want to know the exact prices of your fingerprints, then it’s highly advisable that you contact the requesting agency or look on the “Request for Live Scan” form to see which levels of services are required and contact a local Live Scan location and/or visit their website for accurate information. Live Scan is a way to take your fingerprints virtually, rather than via the traditional ink and paper, and are then digitalized and transferred to the Department of Justice, where your fingerprints are checked against any known criminal record. From there, a response is then sent to the agency requesting your fingerprints. In most cases, if you do not have a criminal record, results should be returned in as little as three to seven days. At an approved Live Scan fingerprinting location, the operator on site will enter the information from the Live Scan Request Form you were given by your employer or entity and input this information into the computer. This form must be filled out by the applicant and agency and Live Scan locations cannot help fill it out. You will also need to provide a picture identification, such as a driver’s license or passport. After, they will then capture your fingerprints digitally, which will then be transmitted to the authority requesting the information via a secured data line. From there, the licensed operator will give you two copies of your request form, one of which will need to be returned to the authority requesting the fingerprints in the first place. You can find an authorized location here. If you have been fingerprinted in the past, you will need to be re-fingerprinted with each new application you receive from an authority — there are no exceptions to this rule. At Live Scan locations, they will not provide you with a copy of your fingerprints as no hard copy can be supplied. From the looks of it, if your fingerprints were rejected, you should be able to go back to the location you went to in the first place to have your fingerprints taken again at no charge. 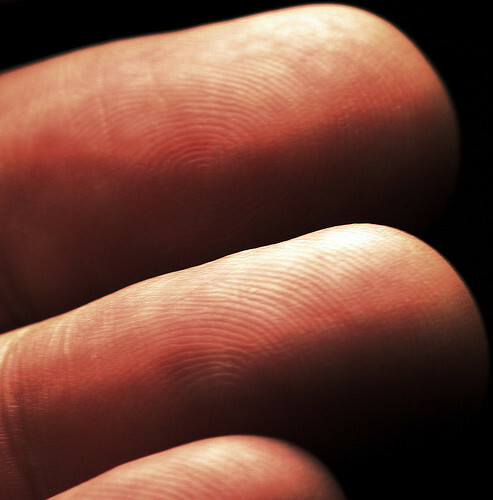 Live Scan fingerprints are often rejected for several reasons but often due to characteristics that are difficult to capture, such as a cut or scar. The entire process can take up to 30 minutes and for this reason, some locations do recommend appointments but do keep in mind some locations only accept walk-ins. Some locations will not take credit cards, so be sure to contact them ahead of time to know your payment options. Live Scan results can take up to seven days, greatly dependent on your criminal background history.